Choosing who to work with is one of the most important questions you’ll ask yourself when selling a home. We could share with you our experience, creativity, professionalism, full-time agents, $100 million dollars in sales, business minded, communication skills, and more – but let our past clients numbers speak for themselves. We know these communities, not only because we research, study, and are involved, but we also grew up here in Columbus and live and work in our community. With over 30 combined years of experience and community involvement, our reputation and track record transcends the Real Estate industry. Selling a home takes a well thought out game plan. We will work with you to get your home ready to sell. Many times this takes de-cluttering, de-personalizing, and taking a step back and thinking like a buyer rather than an owner. Here is a list of common thing to do to get ready. We will go over and come up with a personalized list in out initial meeting. Your first showing is online. People will look at your home on a tablet, phone, computer screen and having the right angles, shots, and editing go a long way in getting people into the door. If your homes doesn’t look good online, it won’t appeal to people to take a look in person. We hire the best photographers to capture your home. Not sure if this is a good time to sell? Wonder how much you could get for your home? Let us create a comparative market analysis for your home to answer those questions and more. This link will take you to our page and give you an instant value. It is a computer generated report so it won’t take into account updates you’ve done to your home. Our dedication to our clients is an invaluable part of our Real Estate sales program. We are full-time, and are committed to creating an ideal transaction so you can have the best experience possible without compromising. Our goal is to get your the most money and best selling terms possible. Let’s work together to make your dreams happen! Every seller wants to get the most money for their home. Ironically, the best way to accomplish this is NOT always listing your home for more money. Sometimes, an excessive price will only cause buyers to lose interest before seeing the property in person. It also may take a longer time to sell, resulting in a lower price. We are transparent in the cost involved in selling. From title insurance, to county conveyance fees, we will show you what your bottom line is expected to be. This will help make your financial decision easier and allow for no surprises at the closing table. We know how to help! You can count on us to recommend local moving companies to help you when you move in. Moving items like a couch, piano, or appliances take muscle and maneuvering. We know the best in the business to help! 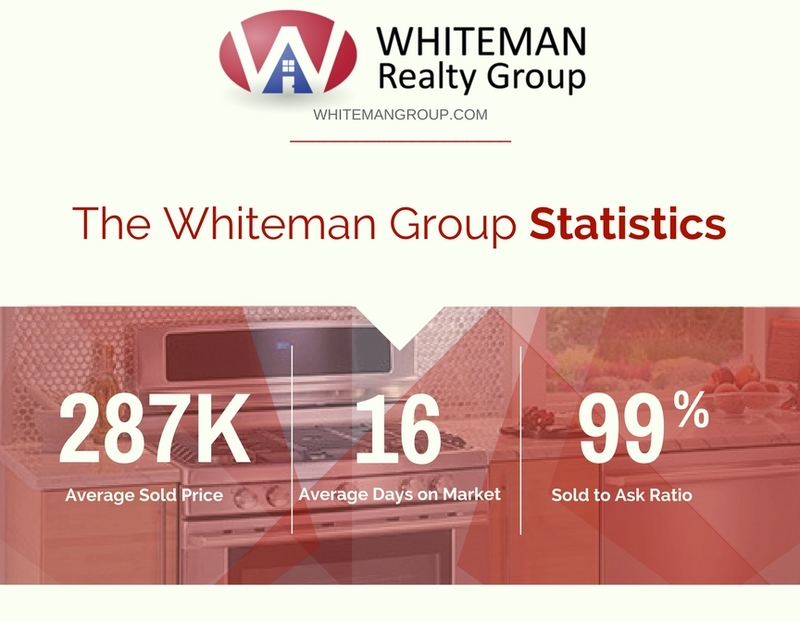 When you work with The Whiteman Realty Group, you won’t have to find much on your own. Our years of experience help guide our clients through this phase in their lives.